Hey Nosh Show Listeners! Episode 111 is live and ready to brighten up your long Labor Day weekend. 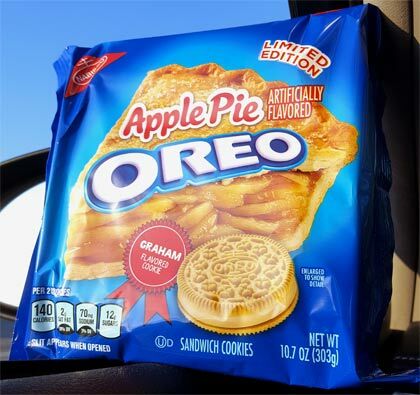 One of the things we talk about is techniques for tracking down new products like the new Apple Pie Oreos. As you can see below, the discussion paid off. Chris shares his thoughts during the episode and I will make two points here. One, I do like the flavoring as it's strong but not too overpowering. I worried about an artificial bite but it's not that bad. 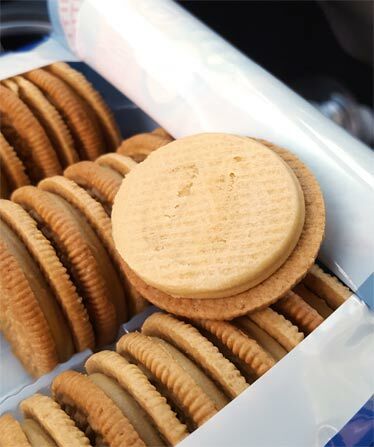 Two, the graham crackers don't bring enough graham factor. To truly enjoy these, I recommended ditching one of the wafers when devouring them. 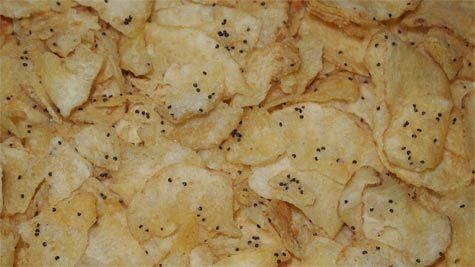 For Nosh it Now, I bought a bag of Lay's Everything Bagel with Cream Cheese Chips and I must admit that I liked them quite a bit. I know a lot of people are frustrated that they don't taste more like their bagel counterpart, but they are still enjoyable. As a side note, I was debating with myself if these remind me of the Lay's Southern Biscuits and Gravy from two years ago. Alright, have a good short work week everyone.